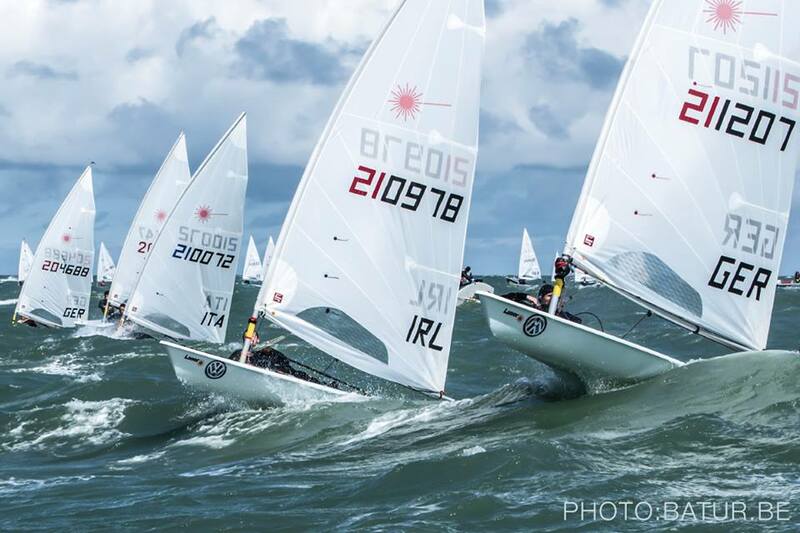 Sun, wind and waves were on tap for day three of the 2017 Laser Under-21 World Championships in Nieuwpoort, Belgium. With a breeze consistently in the low to mid 20s, sailors had to figure out just how hard to push versus taking a slightly more conservative approach. 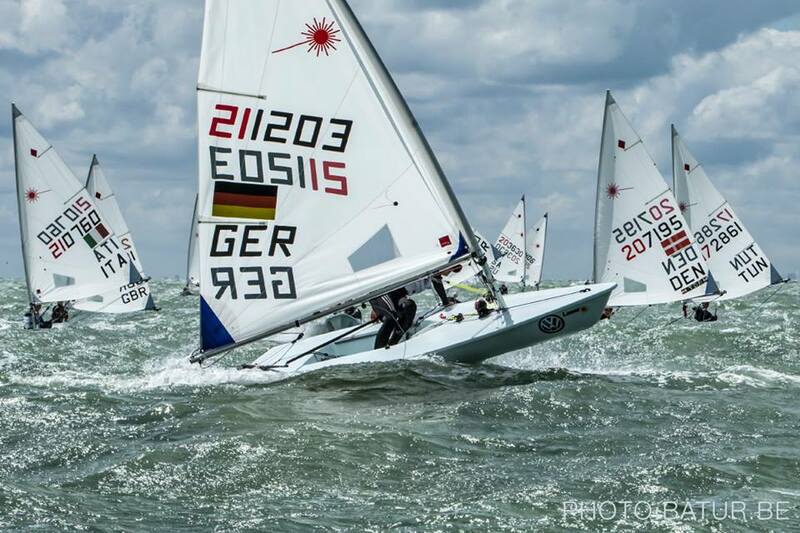 Some pushed a little too far and found themselves in the water and having to right their boats, even at the front of the fleet where Jonatan Vadnai (HUN) had been in the lead until his capsize at the end of the final downwind leg of the day’s second race. 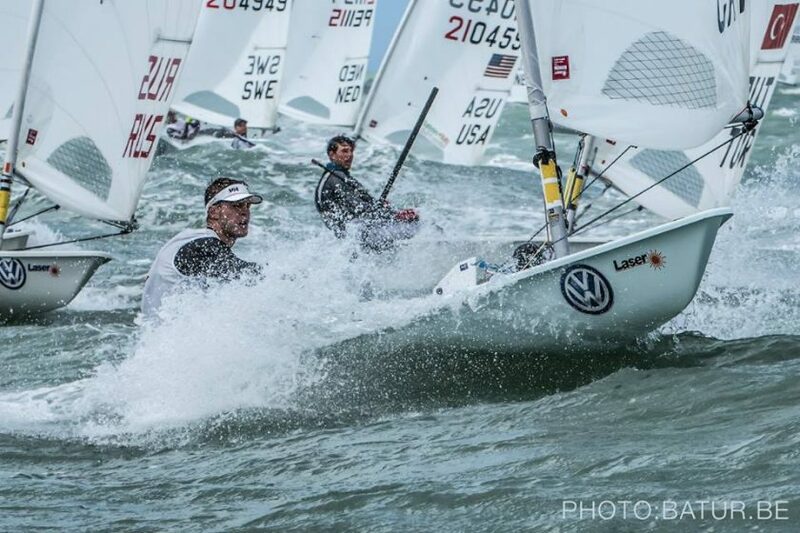 Although he dropped a few boats, he worked back to a second place finish, which, combined with a first in the opening race of the day, keeps him close in the standings to Joel Rodriguez Perez (ESP), who won both races in the blue fleet. Right now, it looks like every point is going to count. Many of the sailor’s in the Radial fleet were exhausted as they returned to shore, but did say that it was really exciting on the race course. For some, there was simply too much wind and just keeping things together while getting around the course was their primary focus. Mária Érdi (HUN), who also capsized in her second race, but with a comfortable enough lead to stay in front, continued her hold on the top spot with a 2nd and a 1st, which was matched on the day by Hannah Andersson (GER) who traded places in taking a 1st and a 2nd and has moved up to 3rd overall. Mirthe Akkerman (NED) was 3rd in both races today, and being able to drop a 35 from the previous day has enabled her to jump from 11th up to 2nd. Although Race Committee had changed the schedule to allow three races on the day, it was clear that two races in the prevailing conditions at sea were enough for the sailors and everyone was sent back to shore after completing their second race.